New name, new location, new contact information. Please update your bookmarks. 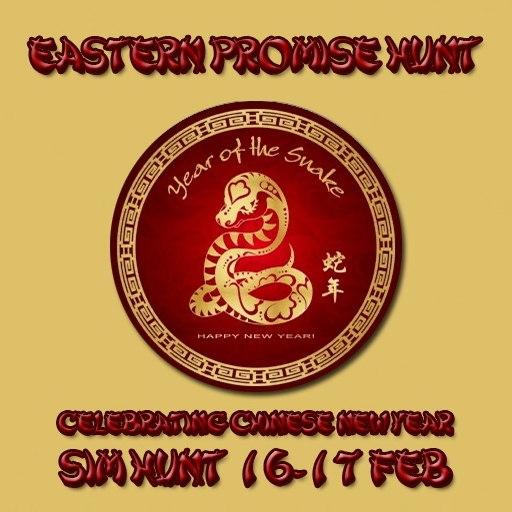 This weekend, Paradise landing has a free sim hunt in honor of the Asian new year of the Snake. All kinds of building materials in Asian themes around the sim, 20 prizes altogether. 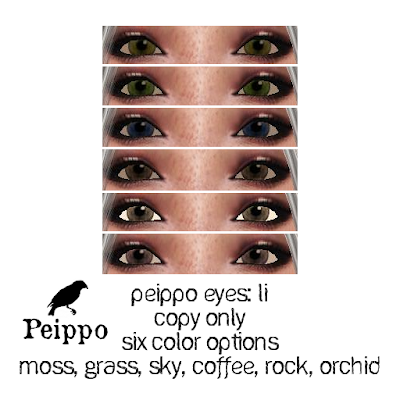 This is the Peippo hunt prize pictured above. You can start the hunt anywhere on the sim, for example: Peippo at Paradise Landing. 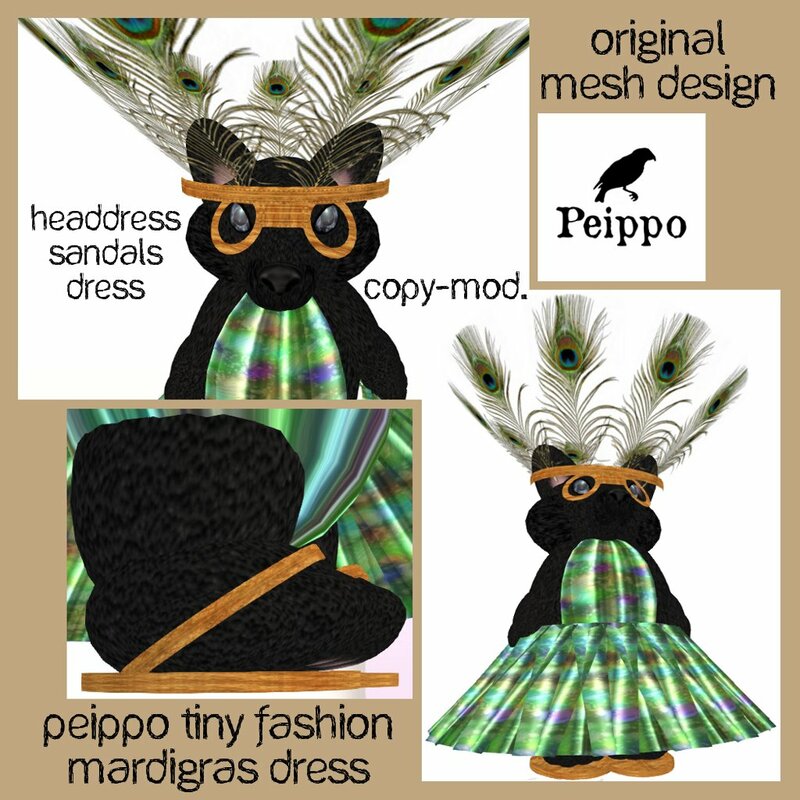 New release, original mesh design: Peippo Tiny Fashion, Mardigras dress. 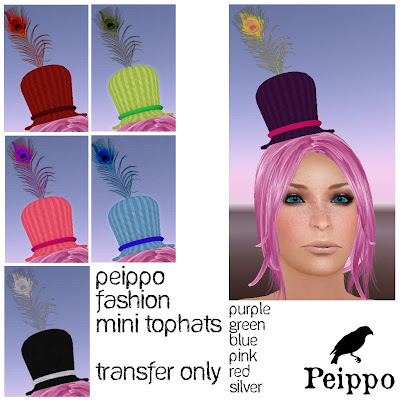 Up for swag this weekend, for 50L$ Peippo Mainstore. Headdress and sandals included. 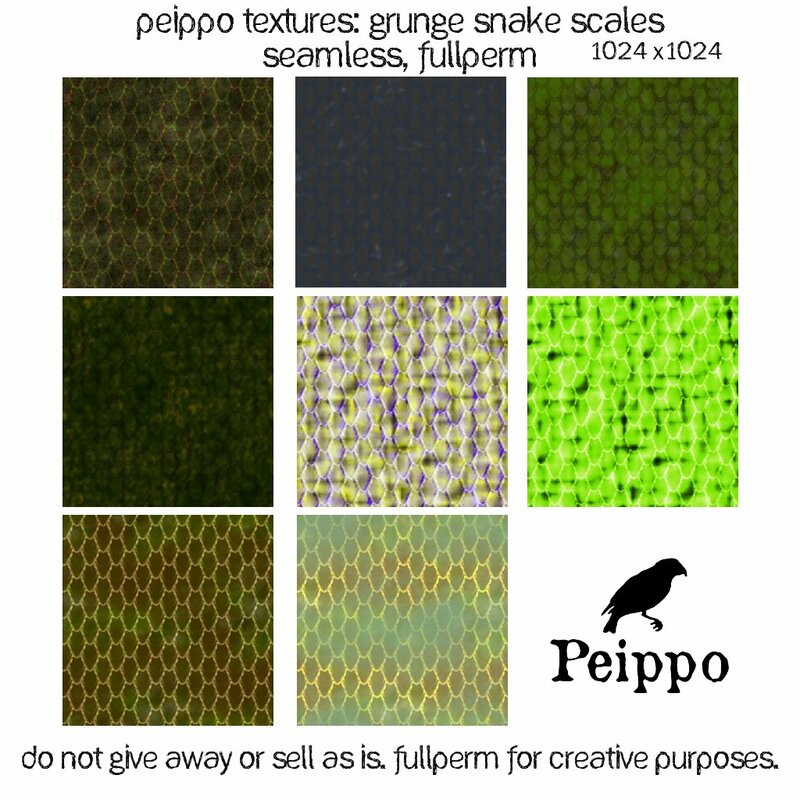 China, Japan, India etc - or snakes! 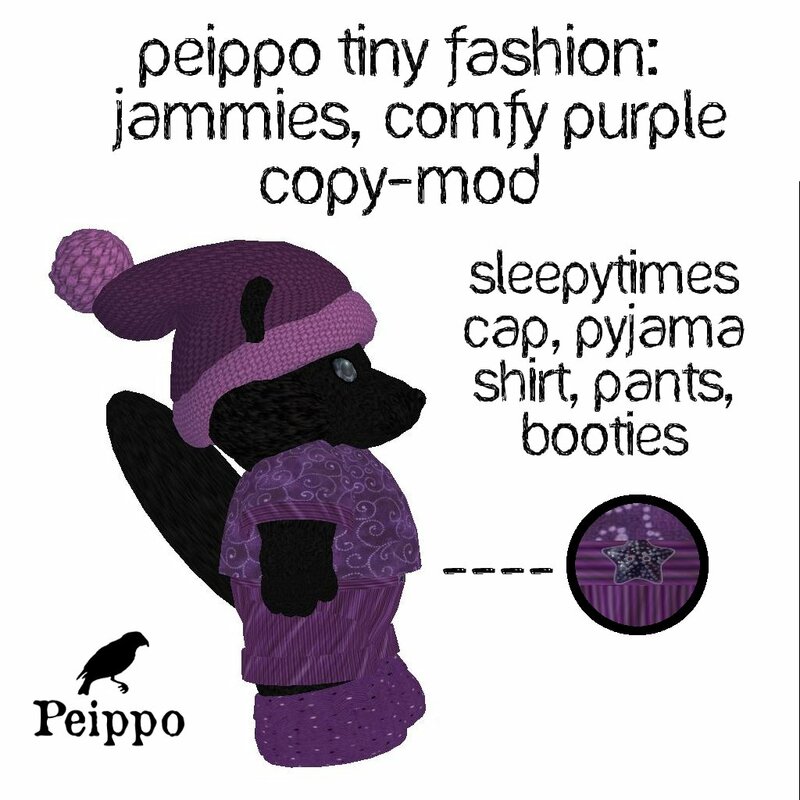 Peippo Jammies for swag this weekend, 50L$ each. Get them at Peippo Mainstore. 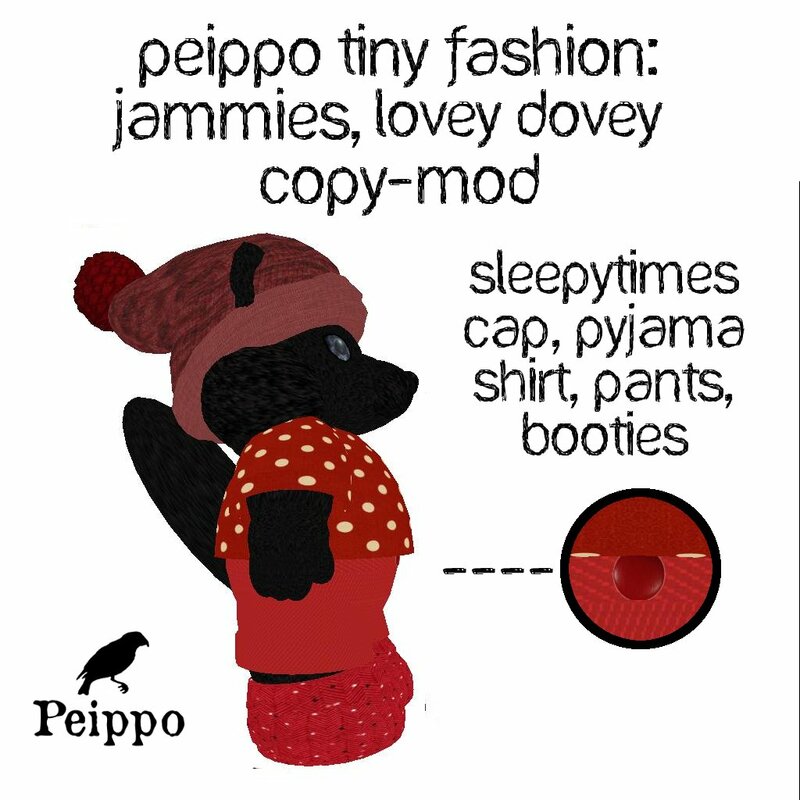 Peippo is taking part in an event with a great cause: body image and self confidence. The First Femboy & Alternate Gender Fashion Fair, January 31st to February 14th, is arranged by Taki Kujisawa, who is also behind the current Femboy Hunt. The charity in question is: The Human Rights Campaign for gender equality & LGBTQ rights. Peippo is taking part in the fair with one charity vendor with a set of brand new eyes, and a charity gatcha of new mini tophats. (Btw. The prices (50L$) and donation percentage (50%) were set in advance for the charity vendors and -gatchas, and we could not change them. Some vendors have also regular vendors at the fair). This is what any designer wants to see, someone taking your product and making it their own. 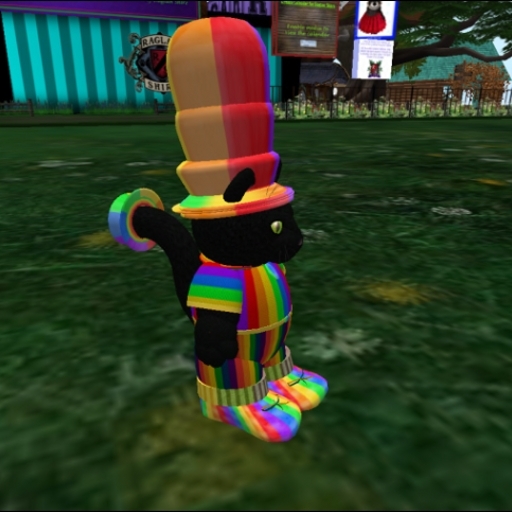 Here is the mod Rayray Mumfuzz made for Peippo Rainbow Gift Hat. 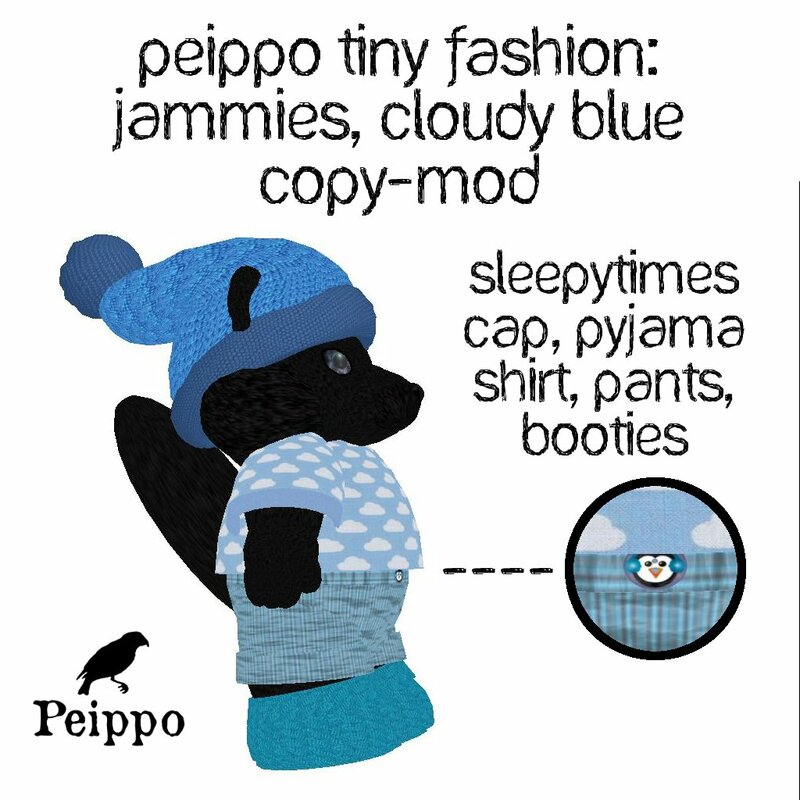 He is wearing it with Peippo Rainbow Outfit. Picture used here with Rayray's permission, ask him for permission before using it, thank you.